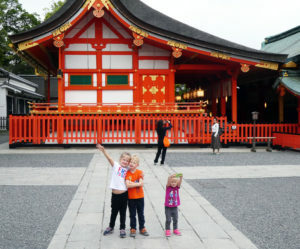 The Fushimi Inari-Taisha is a wave of blood orange gates that sing a melodious song of loyalty. Each gate is one voice in a chorus singing hymnals to the sky. As the music cascades and swells, it sends the gates soaring like a melody up the mountain side to the god of the mountain Inari. This is the best way I can describe the majestic beauty that is the Fushimi Inari-Taisha. It is mesmerizing to behold the sheer magnitude of what is witnessed here: 1300 years of dedication. 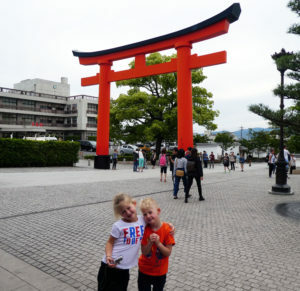 This is a glorious shrine and a wonderful place for children to experience Japanese history and culture. 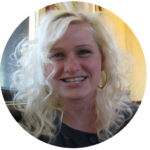 e deities, human beings, and nature that it represents. After passing through the original Torii gate, the shrine is accessible from the main street in the Fushimi-ku ward area of South Kyoto, after walking up a long path filled with a whirlwind of food and goods merchants, and small local shops filled with souvenirs and trinkets. Children will have a joyous time taking in the ambiance and everything there is to see. 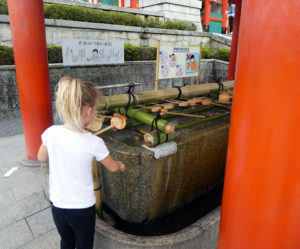 Past this, there is a grand entrance plaza with several buildings and the traditional purifying station. This is an Inari Shrine at which the religion of Shinto is practiced. 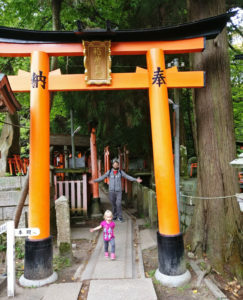 There are 10,000 Torii gates that effortlessly crescendo the side of the mountain, and 32,000 sub shrines, or bunsha, located at various points along the path. The path is dusty in some areas and has large stone stairs in others. There are maps along the way, and parts of the path offer views of the entire city of Kyoto. The climb is daunting, tiring, and strenuous. The path from the entrance to reach the very top takes approximately 2 hours. 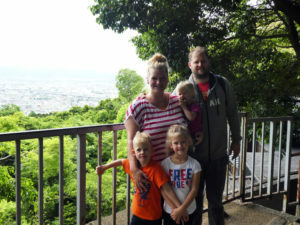 There are places to rest along the way, views to see as we mentioned, small shops to peek into, cats to pet, and done leisurely this can be a spiritually uplifting journey the whole family can delight in. You also don’t have to go all the way up to the top and can turn back at any point without difficulty. 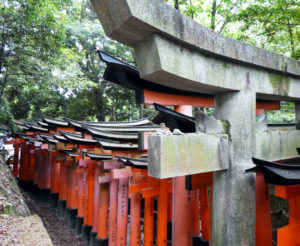 Each Torii gate represents a gift given to the deity Inari Okami in exchange for prosperity, health and good fortune. Each gate represents a wish of faith and a physical offering from those who believe in something greater than themselves. As man passes through each Torii gate he leaves the physical world more and more behind him and comes closer to entering the spiritual world. There is a quiet reverence that overcomes the masses as you make your way up the winding path. It offers a chance for reflection, and contemplation. For Kids: This hike is strenuous, and not stroller friendly. Half way through, we just left the stroller by the side of the path to pick it up on our way down. 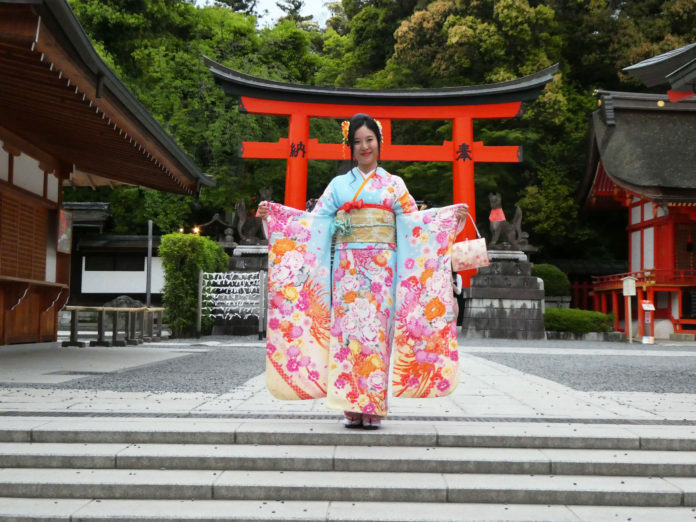 There is a lot to view and witness here, despite the repetition of the gates, particularly when it comes to the cultures and traditions of the Japanese culture. This should not be confused with activities though. 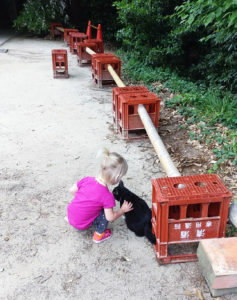 This place does deserve respect, though children are welcome and commonplace and can be found laughing and running along the path. There is one area of the path, in particular, that offers two ways to reach the next section. One way is direct and leads you up a large staircase. The other way sends you up several small staircases that weave their way through Torii gates up to the same stopping point. Our kids love hiking, and we call these ‘adventure trails’. 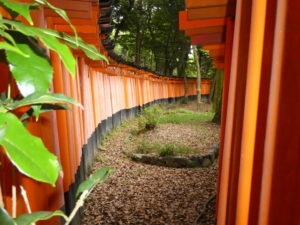 In many respects, Rengeoin Sansusajendo, is very similar to Fushimi Inari-Taisha. The absolute faith and dedication to the purpose is no more evident anywhere else than it is in these two shrines. They are magnificent to behold, and awe inspiring. 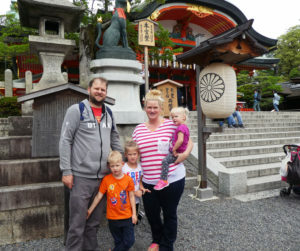 Read about more of our adventures in Japan by checking out our Diapers On A Plane Japan Vlog and associated links. ► Nap-Time Version: The most famous shrine in all of Japan. Over 10,000 Torii gates wind up the mountain to the top most point. 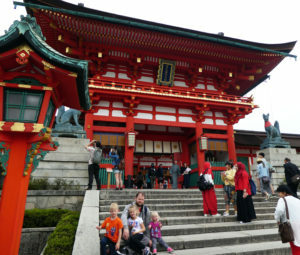 Offers a different view and perspective of the culture and religion of Japan than any other shrine. 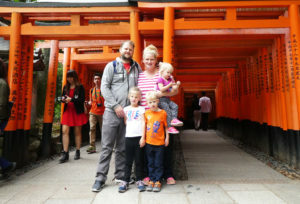 Were you as overcome with the Fushimi Inari-Taisha shrine as we were? We’d love to hear your thoughts!